This recipe is a keeper. I love potato bread. My standby recipe came from an old Sunset magazine. This recipe won’t take that one out of first place, but it comes in a close second. It’s much quicker to make and you don’t need left over mashed potatoes, you just cook what you need for the recipe. It really gave my Bosch mixer a workout and my Bosch, with it’s center drive can handle some pretty heavy jobs. I would be careful mixing it in a Kitchen Aid Artisan. As I usually do the first time through, I didn’t make any changes to the recipe. Some of the other bakers mentioned possibly adding rosemary and garlic! That sounds wonderful! My husband and I nearly finished off a whole loaf in one afternoon. Oh and an entire jar of apricot jam to go with it. Just a couple comments on the recipe–it says to scrub the potatoes cut and boil them with the skins on. It never says to remove the potato skins so I didn’t and I liked the end result. The skins get pretty well chopped up when you mash the potatoes so you just end up with small pieces of skins in the bread. It adds to the rustic look. I added just the amount of flour called for in the recipe and I had a very wet dough. I left it that way, but it was a bit hard to handle. Because of that I wasn’t able to get the “torpedo” shape the recipe called for. 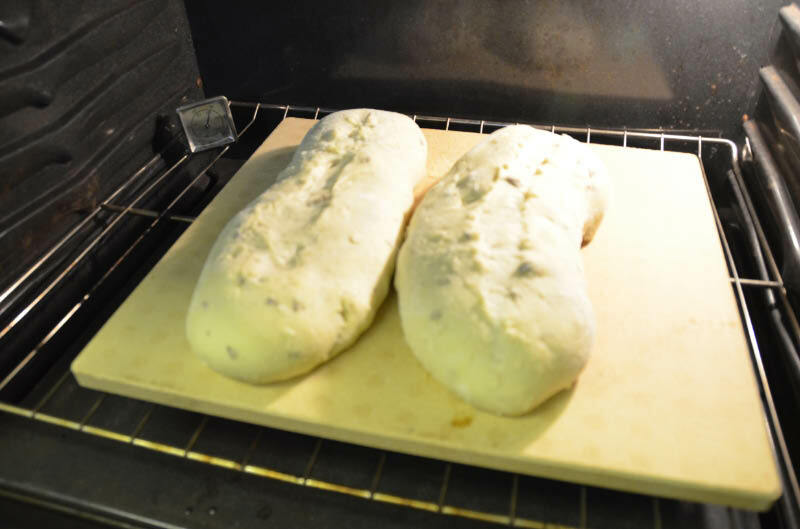 I used my baking peel to move the loaves onto the hot baking stone and sprayed the oven walls with my spray bottle to create some steam and help get a nice crust. This was an assignment for Tuesdays with Dorie, Baking with Julia. Dawn of Simply Sweet was host and she posted the entire recipe along with some great photos on her blog. To see how all the other participants interpreted this recipe check out their blog links on the LYL post. I also got a wet, shaggy dough, though I wasn’t sure if that was because of the recipe or because I was baking without measuring cups…. 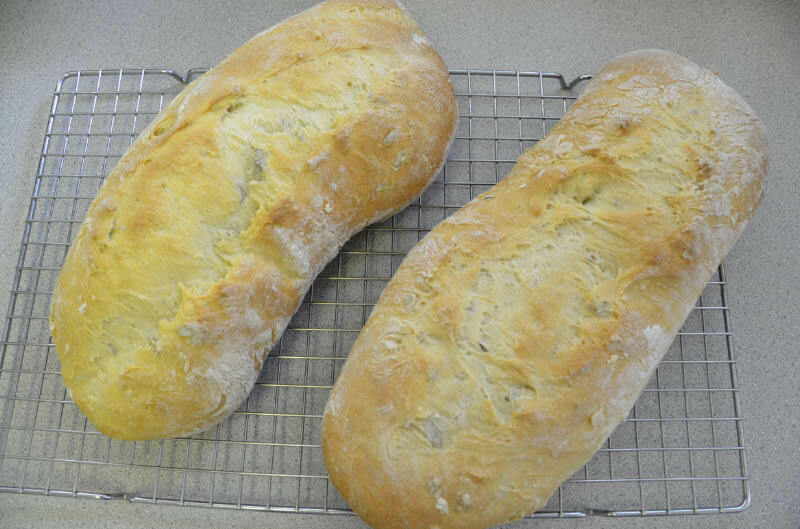 It tasted really good, especially for a quick yeast bread! I resisted the urge to add more flour, but it was hard to handle. Good looking bread! I left the potato skins on as well. I liked seeing the flecks in the bread. 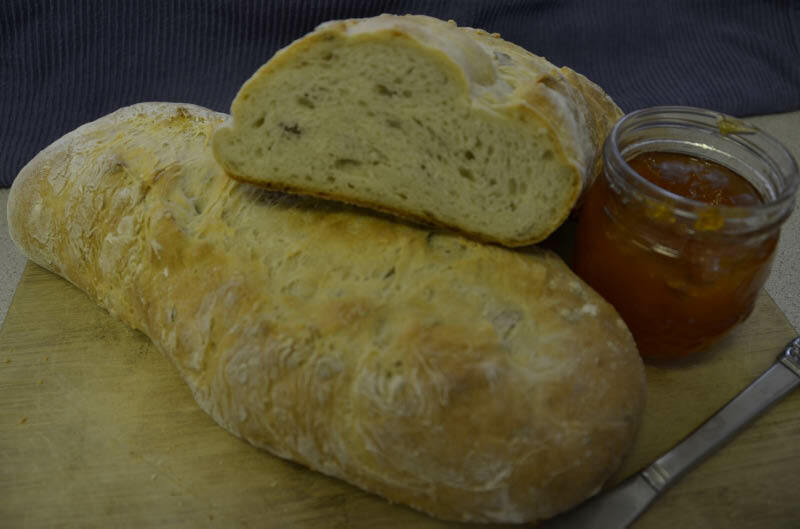 I was surprised how easy it was to make this bread and then how good it was! It is a keeper for me. Thanks. I did worry a bit about leaving the peel on, but it added to the character. I know I’ll try it again, perhaps with the “loaded” version. This is a wonderful recipe. 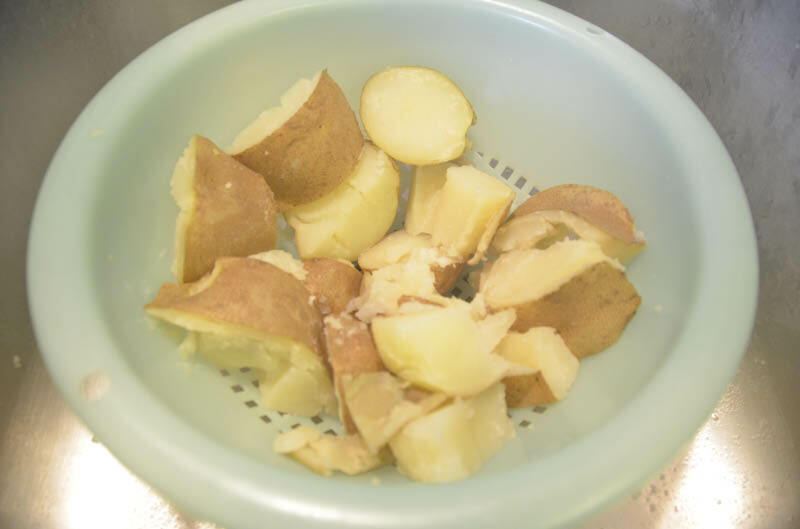 I really liked how the flecks of peel looked – I have read a lot of other bakers peeled their potatoes for fear of too large of peel being left behind. Your bread looks perfect. Thanks for stopping by. I liked the look of the peel as well, it adds to the “rustic” look. Lovely loaves. I had never made potato bread before, but have wanted to, and this is definitely a keeper.